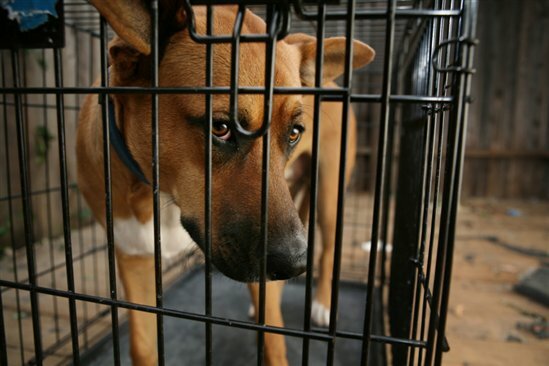 It was a sad day for local Kansas City Animal Shelters when they found out that a program introduced by Spay and Neuter Kansas City and Heartland SPCA would be defunded in 2012. Taking away the funding for this spaying and neutering program will mean thousands of puppies and kittens will be homeless in the near future. These programs asked for a VERY reasonable $180,000 of the $300 MILLION dollar city budget to fund the cause, but were turned down for other groups like Harvesters - who already have a strong charity base in Kansas City of private donors. It just doesn't make sense and it is a tragedy. The program, which had been funded up until last year, was to assist in the costs of spaying and neutering pets owned by low income pet owners in Kansas City. Legislators in Kansas City that voted to defund the program defended their vote by saying that it was more important to take care of the people in Kansas City than the animals. Many argue that this is a "save a penny, LOSE a dollar solution" - in other words the city might be saving money in the short term, but after a few months of cats and dogs running around the city without being spayed or neutered, it will surely mean that thousands of puppies and kittens will end up in the pounds and shelters, costing the city even MORE money in the long run. 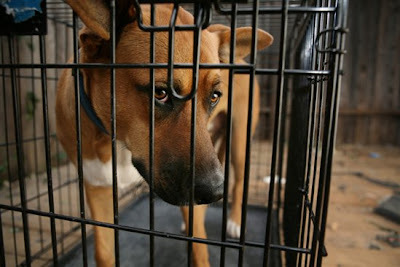 Most importantly, IF YOU CANNOT AFFORD TO SPAY AND NEUTER A DOG OR CAT, YOU CANNOT AFFORD TO OWN ONE. Please do not take on the responsibility of owning a pet if you can't even afford to have it spayed or neutered. Unfortunately, the people in the ghetto and low income areas probably won't be online reading this - but if you know anyone who might be in this situation, please tell them to consider waiting until they are in a more financially stable living situation before they take in a pet. The spaying and neutering program was extremely successful, and local Kansas City animal shelters and pounds saw a drop of nearly 50% of the stray animals that were dropped off at their shelters in the past 5 years. YOU CAN HELP! Please consider making a donation to any of the following animal shelters in Kansas City. Every little bit helps, and if you are not in the market to adopt a dog or cat without a home, at least donate a little bit to the cause if you are able. The Humane Society of Greater Kansas City - offers adoptions, accepts donations, provides spay and neuter services. Kansas City Animal Control Shelter - 4400 Raytown Road - one of the animal adoption centers that really needs your help! Please consider adopting a wonderful animal from this shelter as they are only able to keep their dogs and cats for one month before they must have them put to sleep. Animal Medical Center - 75th street in Waldo - veterinary service and adoption service. Companion Animal Rescue and Reunification Center - 6148 Madison in Kansas City, MO - pet adoption service and lost pet center. Wayside Waifs - animal adoption center, cats and dogs, spayed and neutered. Heartland SPCA - Heroes for Pets, Partners for Life. Spay and Neuter Kansas City - Offers spaying and neutering for cats and dogs and also offers discounted rates for low income families who qualify. Please adopt! This is terrible that this did not pass and the spay and neuter help was unfunded. There will be thousands more stray animals on the streets in the next few months and they will no doubt end up in shelters. If you can't adopt, please consider donating if you can, even a small amount will help. It's a shame that the funding was cut for the spay and neuter program in Kansas City. They were doing a lot of good keeping the stray animal population down and eliminating the need to put the overpopulated animals to sleep. Spay and neuter your pets people! yes, let's get everyone out there adopting and / or donating for these poor animals, they need our help now that the city has pulled their funding. Let's hope that they reconsider. We love the Wayside Waifs!